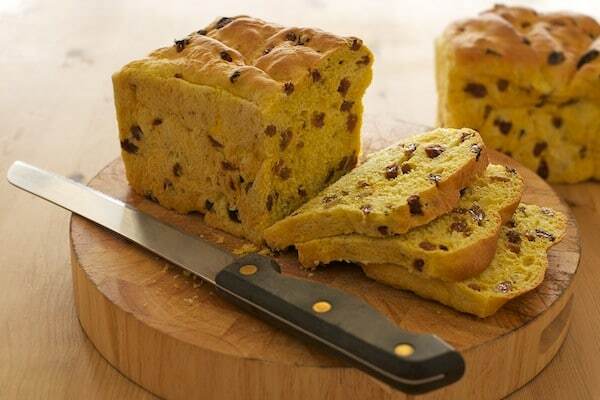 Saffron Cake Recipe from traditional Cornish recipe. Some of the best recipes are handed down generation to generation! This recipe for Saffron Cake is one of our Grandma’s recipes and we think it’s the best. In the recipe you can change the margarine for butter and the sultanas for currants. The weight for currants should be 1.5 lb and 6 oz of mixed fine cut peel. Fruit – Grandma would say just what you think. I use sultanas. Make a well in the center and pour in steeped saffron including the water. And add enough tepid water to make a soft dough. Unlike bread you will not take the dough out of the bowl but merely mix to form a soft dough and leave in the bowl cover and leave to rise. When the dough has doubled in size( I make mine at night and let rise over night and bake fresh in the morning}. Simply place a small hand full of dough in a muffin tin and bake at 375 for 30 – 35 minutes until risen and golden brown.